Been diving in British Columbia? Please Vote! The waters off the coast of British Columbia have some of the best diving sites in the world, where the marine life is said to be the most varied and colourful in North America. The North Pacific waters are home to more than 5,000 species of invertebrates, near 400 species of fish, as well as a great abundance of algae and kelp. Dungeness crabs, prawns, lingcod and large octopuses are often seen when diving in B.C. coastal waters. Another very attractive feature about diving here is the protected coastline, making this a very safe and accessible diving region, which is well known with divers throughout the world. 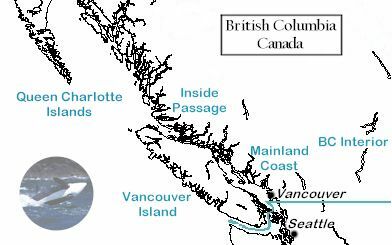 Diving is done at Vancouver Island, Campbell River, Port McNeill/Port Hardy, West Coast Vancouver Island, Victoria, Inside Passages, Mainland Coast, Queen Charlotte Islands and in BC Interior. Full cold water gear is best for for these dive spots. You’ll be more comfortable in a dry suit. Regardless of the time of year, the diving is excellent. Visibility is usually very good, averaging between 30 and 100 feet.